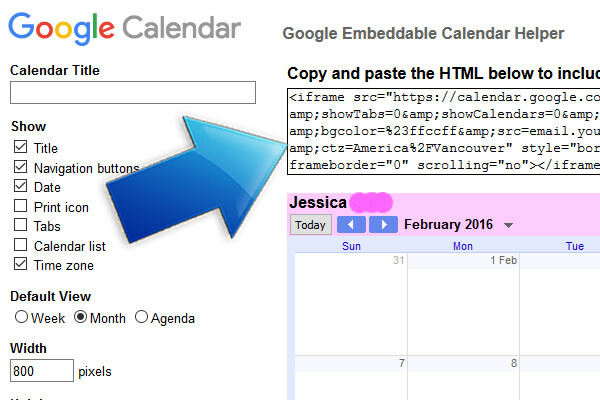 Home / How-To's / How Do I Get The Code for Google Calendar And Add It To My Website? 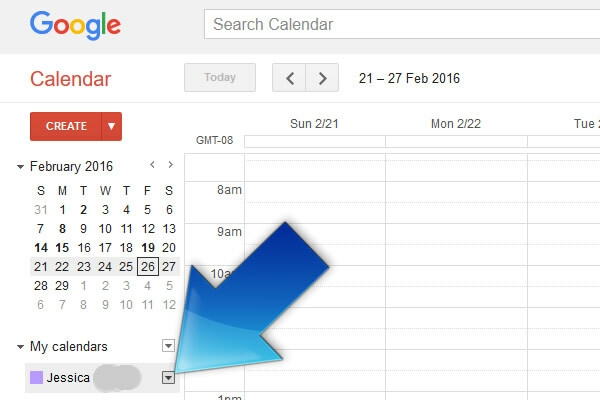 Getting the code from Google Calendars can be kind of confusing, but well worth it because you can co-ordinate your bookings, show others when you’re free or busy, and you and your visitors can see what’s going on at a glance. 1. 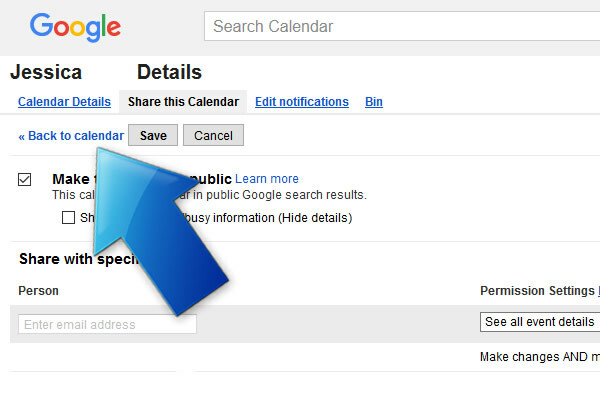 Sign into Google Calendars at https://calendar.google.com/calendar. 2. 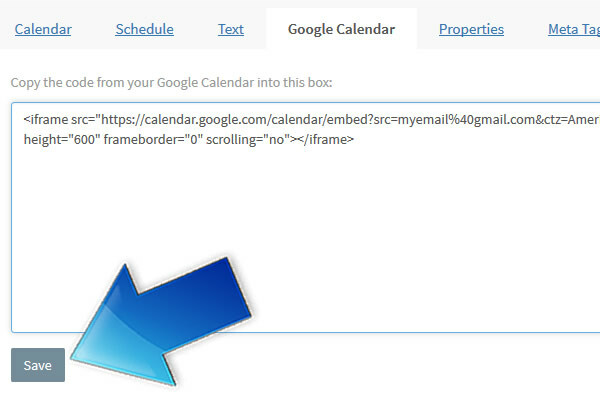 This will send you to a main calendar page. 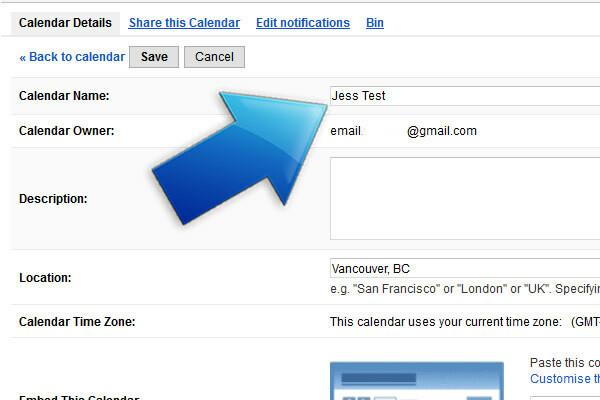 Look on the left side where it has your name under My Calendars. If you put your mouse over your name, a little arrow will show up. 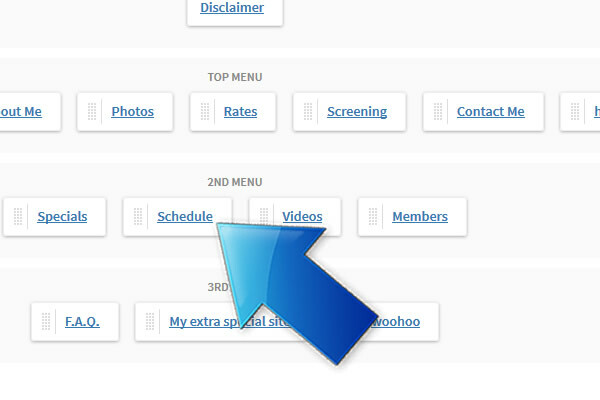 Click the arrow to open a box menu. 3. 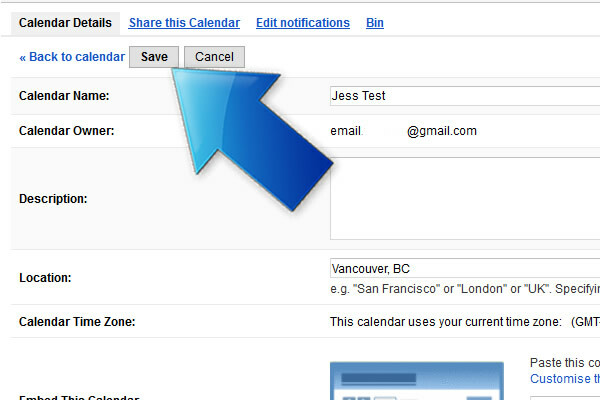 Select Share This Calendar. 4. 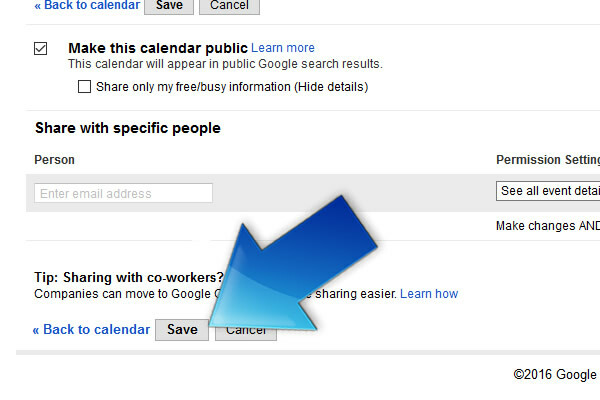 Click on the box where it says Make This Calendar Public. 5. Click Save at the bottom. 6. 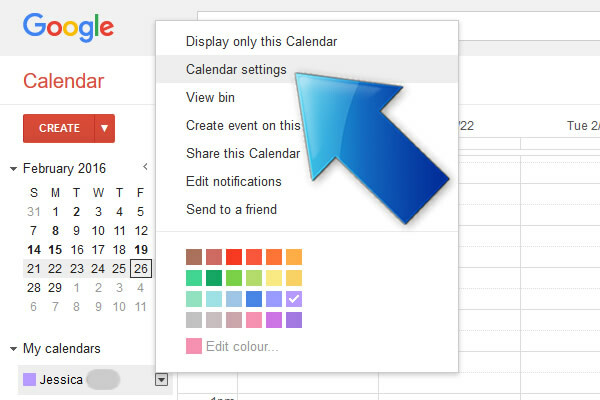 Click on Back to Calendar. 7. Click on the arrow beside your name again. 9. First, check the name. You should probably be using your stage name here. 10. 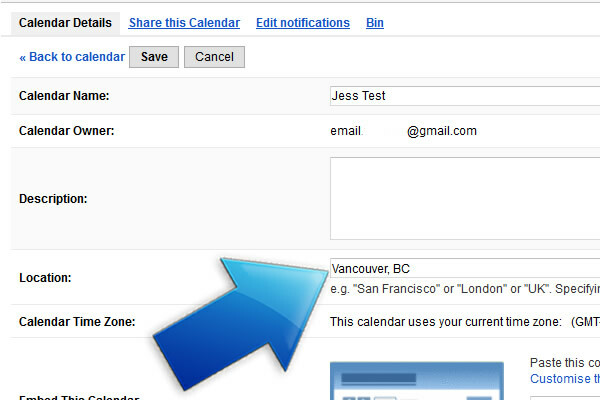 You can add your location here if you want to. 12. Now you an customize it a bit, and finally get the code. 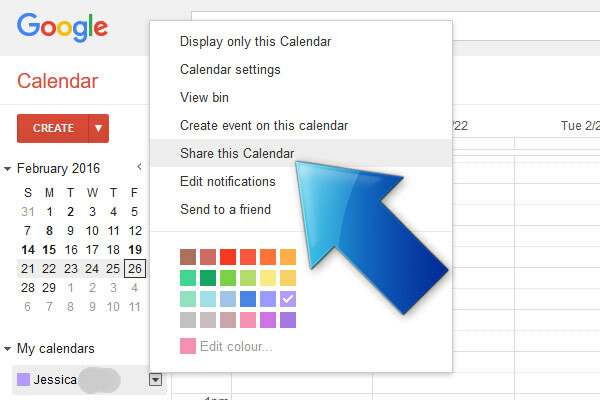 Click on Customise the colour, size and other options. 13. Here, you can change colors and what you want on there. The code in the box at the top will chane when you make changes. Highlight and copy the code when you’re done. 14. 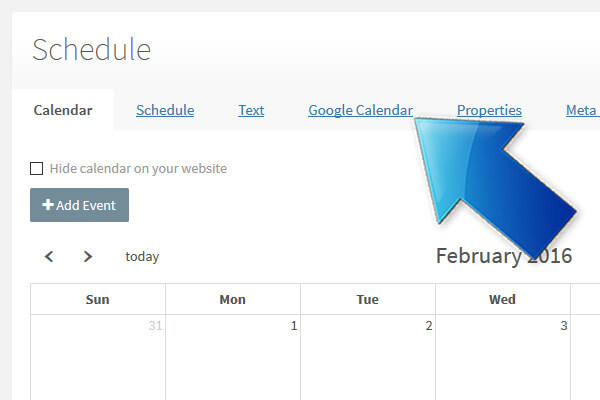 Now you can finally log in to your backend for your website. 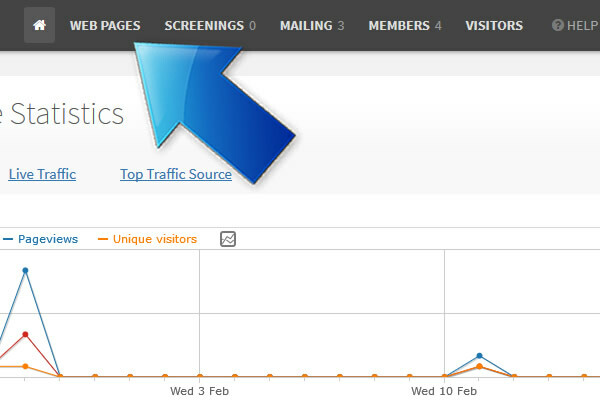 Head over to the Web Pages tab. 16. 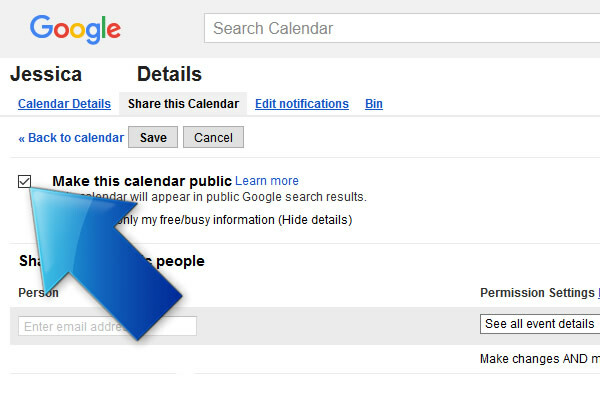 Click on Google Calendar. 17. 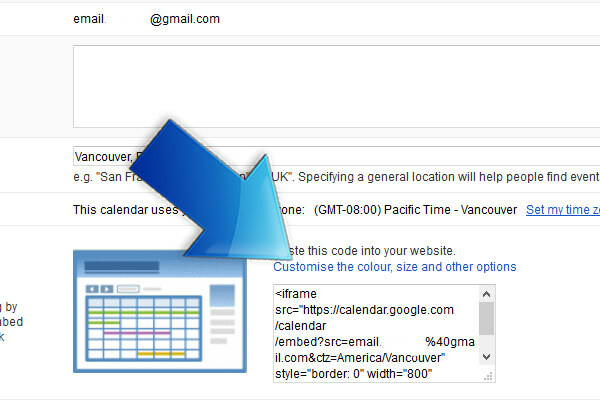 Paste the code from Google in the box and click Save. How Do I Get My Site Out There?